More than a billion people visit YouTube each month to learn something, whether it’s how to make gnocchi, tie a bowtie, skip a stone or dance the floss. The online video platform should bolster its education offerings and boost its premium service by acquiring MasterClass, which delivers online classes from Gordon Ramsay, Serena Williams and other experts in their fields. A deal would support YouTube’s current plans. “One particular area of focus is educational content,” said Sundar Pichai, chief executive of YouTube’s parent company Alphabet, earlier this year. “Every day people from all over the world turn to YouTube to learn something new from career skills to coding to cooking”. 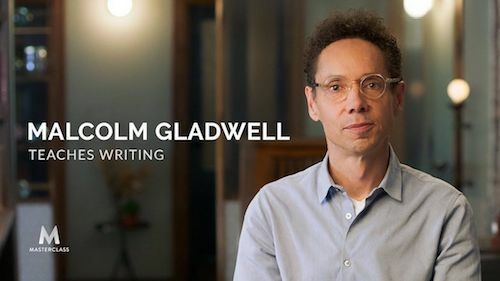 A sizeable portion of this audience would undoubtedly jump at the chance to learn skills from MasterClass instructors, such as photography from Annie Leibovitz, writing from Malcolm Gladwell or economics from Paul Krugman. Moreover, YouTube is currently ramping up investment in original television shows and films for its paid service, YouTube Premium. Adding exclusive courses from world-renowned experts could spark a significant number of sign-ups. MasterClass might also benefit from a buyout. It could capitalise on YouTube’s deep pockets and unparalleled reach – it draws more than 1.5 billion viewers a month - to convince high-profile individuals such as Barack Obama, Oprah and Mark Cuban to record classes. It could also leverage YouTube’s infrastructure and video-streaming expertise to offer weekly live classes that include question-and-answer sessions, helping to keep viewers happy and engaged. Audience members could also upload videos for a chance at receiving feedback from instructors and peers; Steph Curry could analyse their shooting technique, or Christina Aguilera could critique their vocals. And YouTube’s virtual-reality chops would pave the way to truly immersive MasterClass sessions, where viewers are seated across a chessboard from Garry Kasparov. Alphabet doesn’t break out YouTube’s financials and MasterClass is a private company, but the economics of a deal seem to make sense. YouTube saves time and money by acquiring the MasterClass catalogue rather than filming its own courses, and recoups its costs from the surge in YouTube Premium members. YouTube Premium’s annual price tag is about $144, while MasterClass currently charges $180 per year for an all-access pass, potentially justifying a higher price for the combined service that lifts profits. Meanwhile, MasterClass taps into YouTube’s relationships with myriad celebrities to quickly and easily sign up more instructors, and wields the clout of a global tech giant to secure better contract terms. Combining YouTube’s scale, technology, experience and global ties with MasterClass’ expertise in online classes could help both companies achieve their aims and lead to a richer, more varied selection of courses for consumers. If the two become partners, they would be in a class of their own.